Best Greens, Best Deck, Best View……… A Must Play! Pheasant Glen golf in Qualicum Beach, simply the best!  At Pheasant Glen we strive to be the best total golf experience for all ages and skill levels. To us that means great golf, great food and fun for all. Our greens have a well-earned reputation as fast and smooth. Our challenging, but fair, traditional design has met the test of Provincial and National Championships including the 2016 BC Men’s Amateur and 2018 Canadian Men’s Amateur. In 2020 we will host the Canadian Senior Men’s Championship. Red Seal Chefs, led by Jennifer Halvorson, prepare great food on the best deck with the best view. 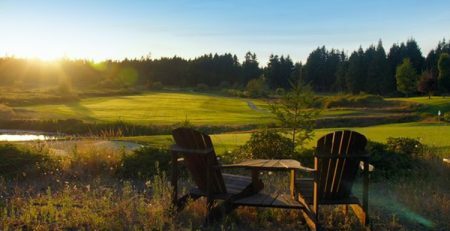 Rolling fairways, forest, stunning Mount Arrowsmith, and wildlife of every description are mother nature’s contribution to delightful afternoons and evenings on our deck. At Pheasant Glen, nature surrounds you, not houses. 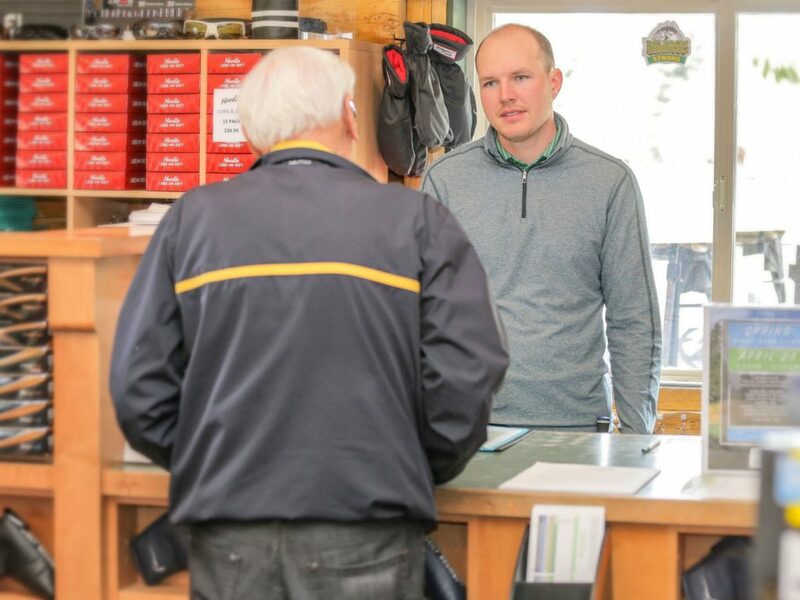 Our Golf Shop and Golf Academy are led by our award-winning Manager, 29 year PGA Professional, Gord Melissa, the 2017 PGA of BC Junior Leader of the Year. 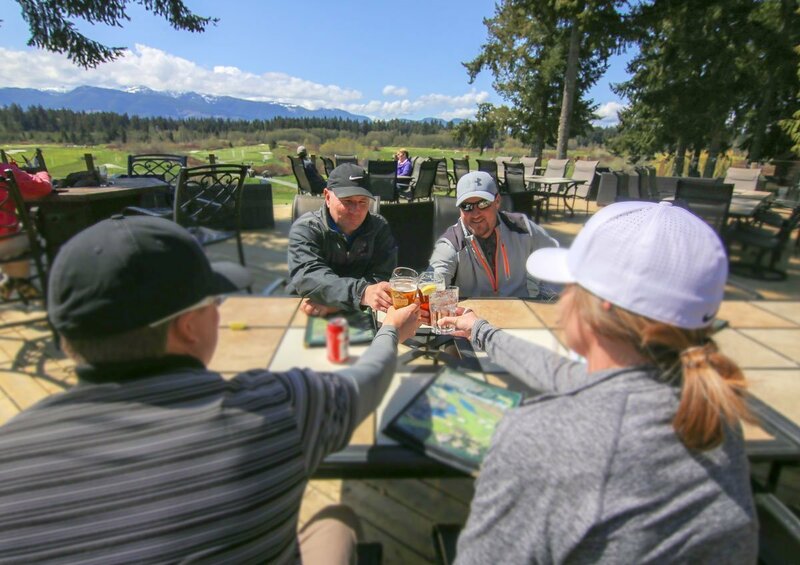 Our four PGA professionals’ mission is to ensure you enjoy your day either on our great golf course or tuning up your game at the best practice facility on Vancouver Island. Grass tees, multiple putting and chipping greens, greenside and fairway bunkers will help you take your game to the next level with their expert assistance. 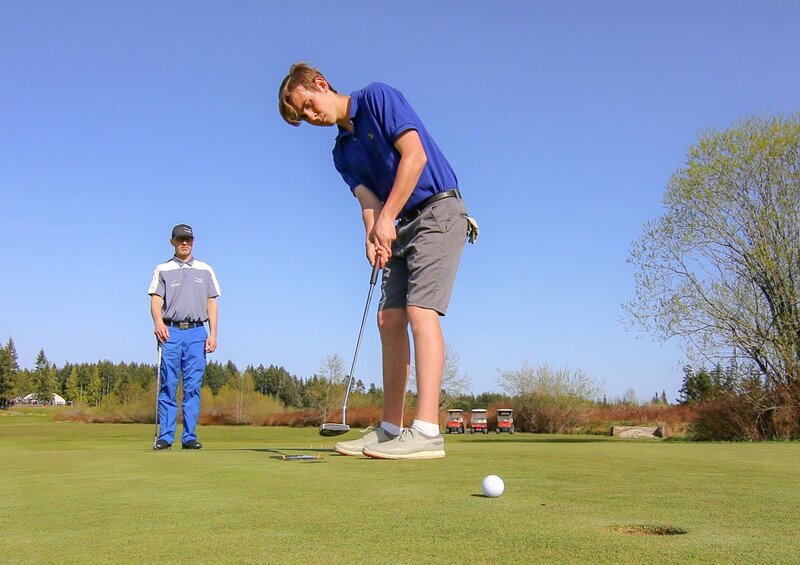 If you are looking for a fun, friendly, professional experience Vancouver Island style, you will find it at Pheasant Glen. 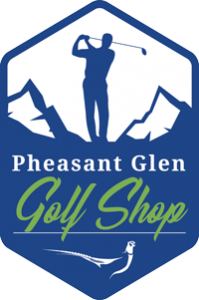 Don’t just take our word for it, ask around, Pheasant Glen has lots of fans. Book your next tee time at Pheasant Glen and find out for yourself what the buzz is about. 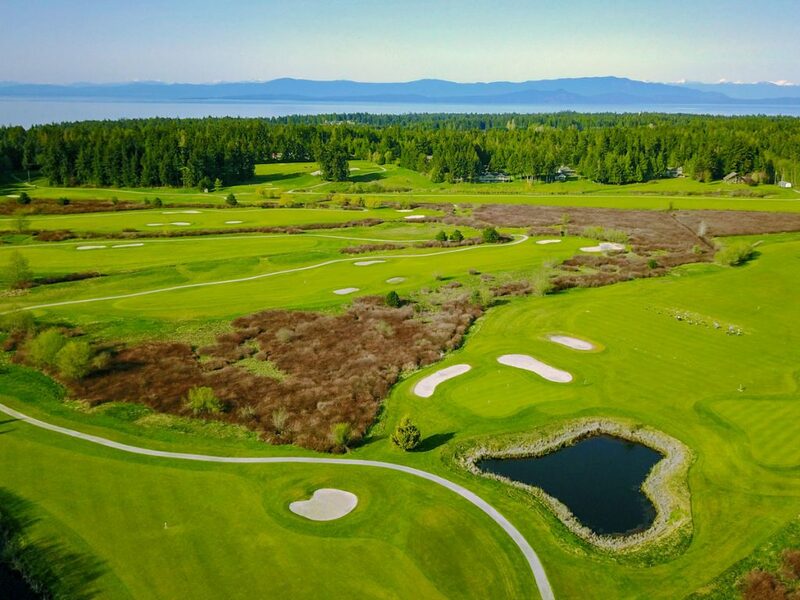 Join us at Pheasant Glen Golf Resort for breath-taking views, friendly faces and an incredible golf experience in Qualicum Beach, Vancouver Island. Players of all levels are welcome, and our PGA of BC professionals are here to help you improve your game. Every hole has 5 tees, each designed to accommodate a player’s individual ability. We encourage everyone to play the proper yardage for their skill level. Take advantage of our generous landing areas designed to give every player a real chance to hit the green in regulation. Our course offers challenges to both novice and experienced players. 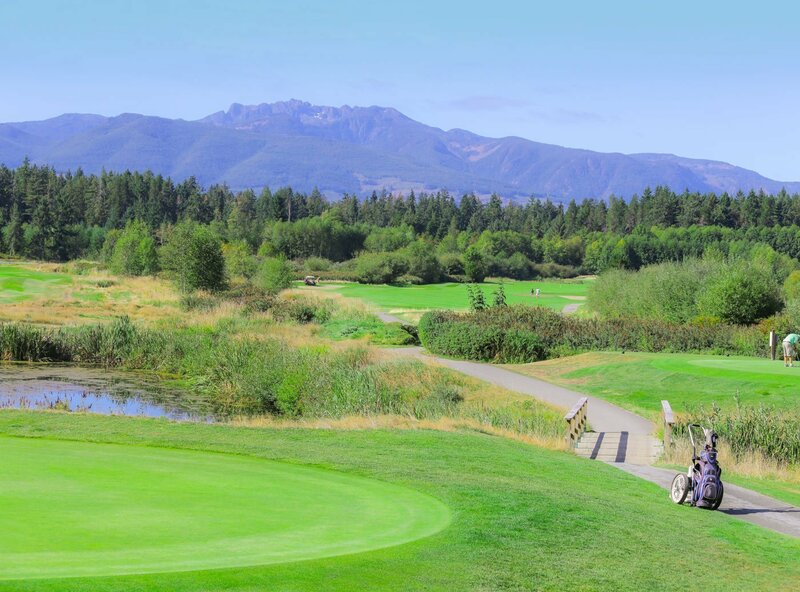 The tranquil, grassy meadows, west coast woodlands, and a spectacular view of Mount Arrowsmith delight the eye and set a stunning backdrop to this new golf experience on Vancouver Island. Come in and say hello and check out our well stocked Pro Shop. We are here to ensure you have everything you need to enjoy your game; from electric golf cars and complete club sets for rent to expert club fitting and a playful reminder that you’ll need to use every club in your bag, no matter what your handicap!